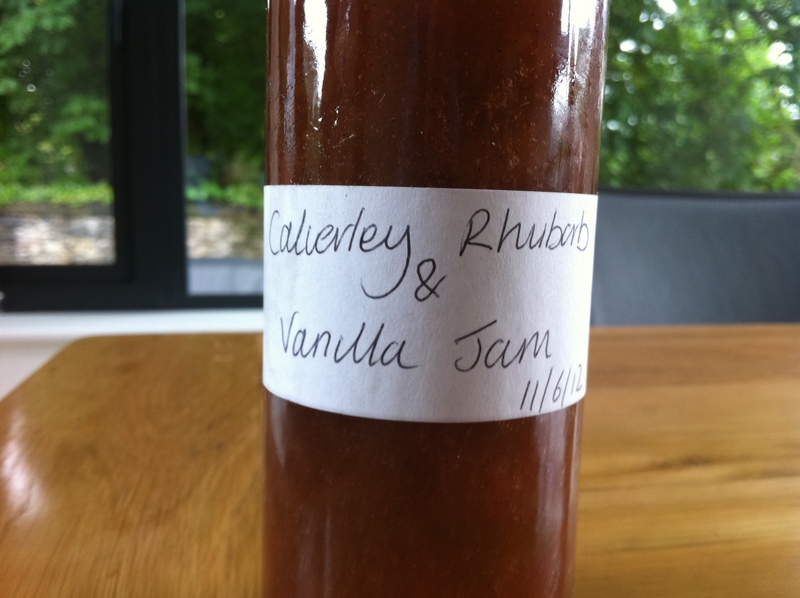 Calverley Rhubarb and Vanilla Jam – A great way to cut waste! Like many people up and down the country, I have a rhubarb patch. 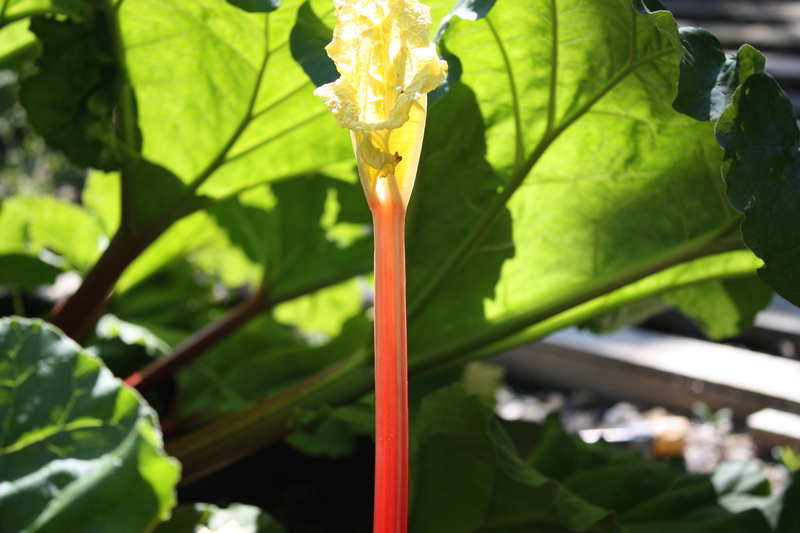 Rhubarb is a most Victorian and even old fashioned type of plant. It is humble and understated and I think that is why I love it. Crumbles are the staple for rhubarb but I shared some of my crop with Adam, a mate from work. He has created one of the most delicious jams I have ever tasted and certainly not one that I will ever find in a supermarket. Adam described it as like eating rhubarb and custard and he is absolutely right. There is a wonderful rhubarb taste which is accompanied beautifully by the vanilla. It’s great on toast, in porridge or in yoghurt. Simple to make – 50/50 quantities of rhubarb and sugar with vanilla paste. Absolutely delicious! It means that you can pot up that earthy rhubarb flavour and take it with you happily into the autumn and winter – provided you’re not tempted to eat it before then of course!